That's some strange place to hang peninsula cabinets, isn't it? It seems that a person working at the sink [once it's installed, that is] would be treated to an in-your-face view of knotty pine. 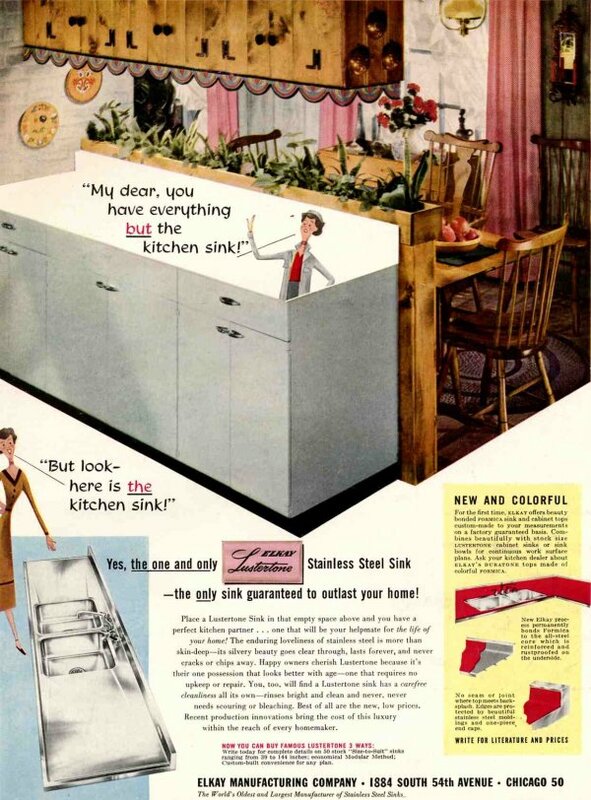 But such details aside, I'm impressed by the bold combination—for 1953!—of natural wood and stainless steel. Those little kitchen gremlins [or whatever they are] were certainly ahead of their time.